The firefly’s almost magical light has attracted human attention for generations. It is described in an ancient Chinese encyclopaedia written over 2000 years ago by a pupil of Confucius. Fireflies often featured in Japanese and Arabian folk medicine. All over the world they have been the inspiration for countless poems, paintings and stories. In Britain, for example, there are plenty of anecdotes describing how glow-worms have been used to read by or used as emergency bicycle lamps when a cyclist's batteries have failed without warning. Early travellers in the New World came back with similar stories, of how the native people of Central America would collect a type of click beetle and release them indoors to light up their huts. Girls threaded them around their feet to illuminate the forest paths at night. As with many insects,the glow-worm's life is divided into four distinct stages: the egg, the larva (equivalent to the caterpillar of a butterfly), the pupa (or chrysalis) and the adult. The glow-worm begins its life in the autumn as a pale yellow egg. The freshly laid egg is extremely fragile but within a day its surface has hardened into a shell. The egg usually takes about 35 days to hatch, but the exact time varies according to the temperature, from about 27 days in hot weather to more than 45 days in cold weather. By the time it is due to hatch, the glow-worm's light organ is fully developed, and its glow signals that the egg will soon hatch. 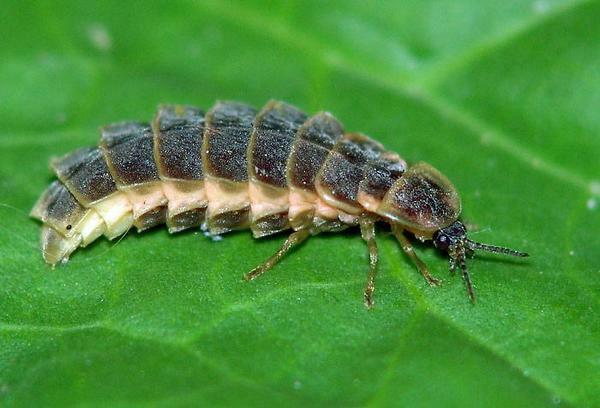 In the final stage of a glow-worm's life, the larva encases itself in a pupa) skin while it changes from the simple larva to the more complex adult fly. When the adult fly emerges from the pupa the male seeks a female with whom it can mate. After mating, the female lays about 120 eggs. The adult flies have no mouth parts, cannot eat and therefore only live a few days. When people talk of seeing a glow-worm they normally mean the brightly glowing adult female. The reading passage has five sections labelled A-E.
Write the correct letter A-E in boxes 1-6 on your answer sheet. 7 TRUEFALSENOT GIVEN Scientists have only recently been able to list the exact number of glow-worm species. 8 TRUEFALSENOT GIVEN The first fireflies appeared 30 million years ago. 9 TRUEFALSENOT GIVEN Glow-worm populations are decreasing faster in some countries than in others. 10 TRUEFALSENOT GIVEN Heat affects the production of glow-worm larvae. 11 TRUEFALSENOT GIVEN Adulthood is the longest stage of a glow-worm's life. 12 TRUEFALSENOT GIVEN The exact reason why glow-worm numbers are decreasing is unknown. 13 TRUEFALSENOT GIVEN Glow-worms are usually found in wet areas.